Kitchen remodeling has a number of benefits: it improves the functionality of an area of the home that you use every day, it enhances the appearance of that area, and it increases the overall value of your home. Planning a new kitchen is a project you may only do once or twice on your lifetime, whether it be a complete remodel or outfitting a kitchen in a new home, so it is definitely worth sweating the small stuff. So rather than begin by ripping out the old there are steps to take to make sure that you end up with a space that will produce lasting efficiency and pleasure. In your mind's eye you probably already have the perfect kitchen. You just have to translate that to paper so that the builders or renovators know exactly what you want. The next step is to compile your list of "must haves" in your kitchen design: Size, Cabinets and Appliances, Hardware, Countertops, Backsplash, Flooring, Heating, Lighting, Windows. These are some points to think about. 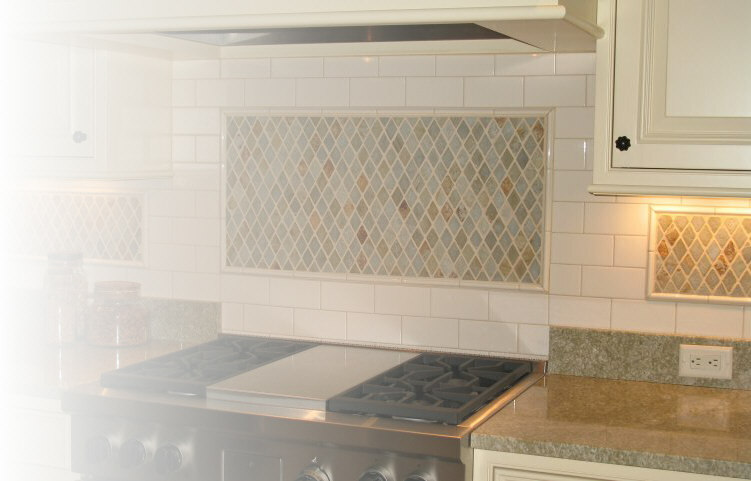 The main consideration is that a kitchen should be built to enhance your living space. Please take a moment to tour our kitchen designs.